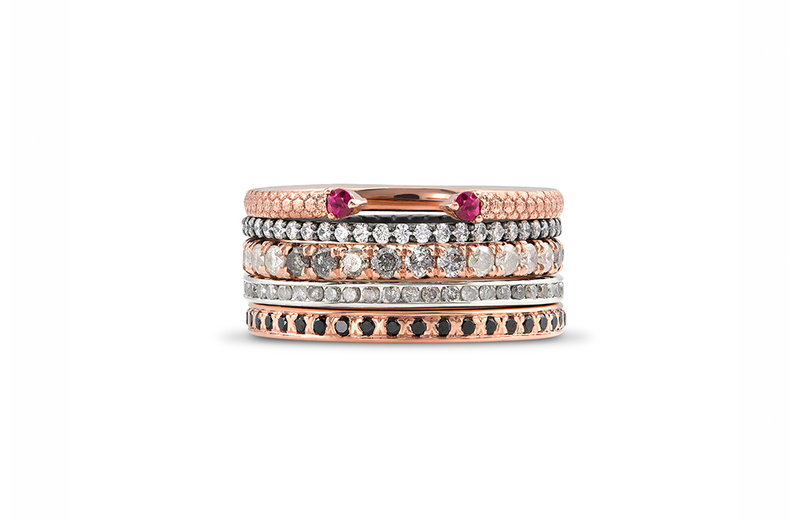 A gorgeous five eternity band stack inspired by the grey in life. Each band represents something special to the owner. The top band, influenced by a tortoise’s shell, is completed with ruby stones. The second band is a white gold band with black rhodium plating and white diamonds. The third band, the mother of all the bands, showcases an ombre of grey diamonds in a French cut setting. The fourth band is a channel set and grey diamond eternity band. 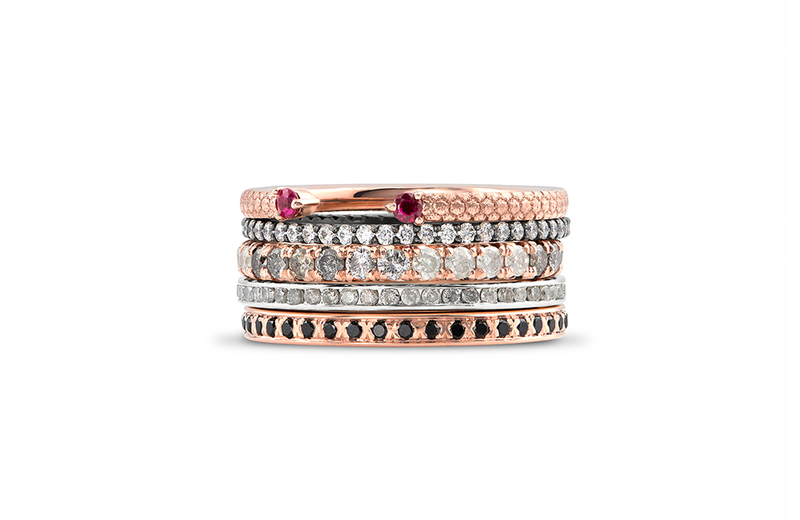 The last band is a unique setting in 14k rose gold and black diamonds. Each one unique and made for this special lady.